Own a piece of Montana with this gorgeous sapphire housed in a simple yet stunning 14k white gold setting. The color of the sapphire is a light teal-blue color. 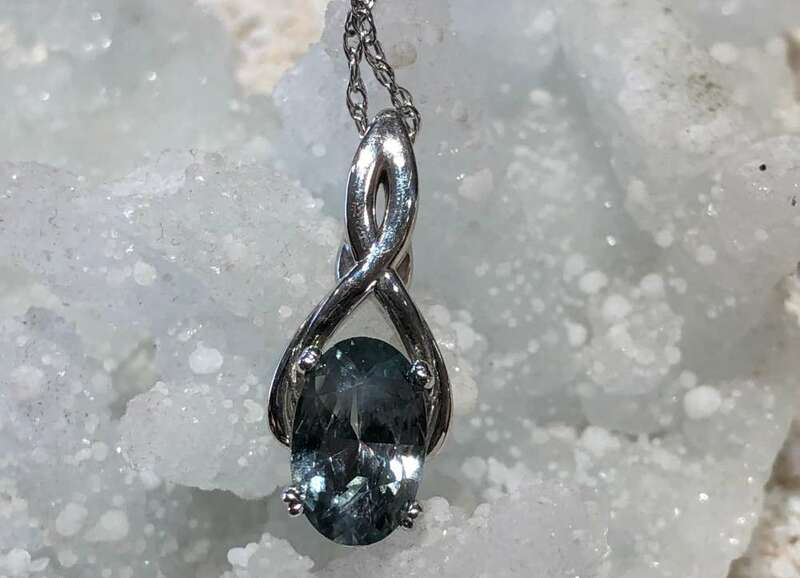 This beautiful pendant comes with an 18″ chain. Contact us- we can help you find that perfect piece!